That’s all so far. If you do read the book and want to leave a review, thank you! Amazon, B&N and other retail sites are awesome places to leave reviews, as is Goodreads. If you review the book on your own site, let me know and I’ll link to you. 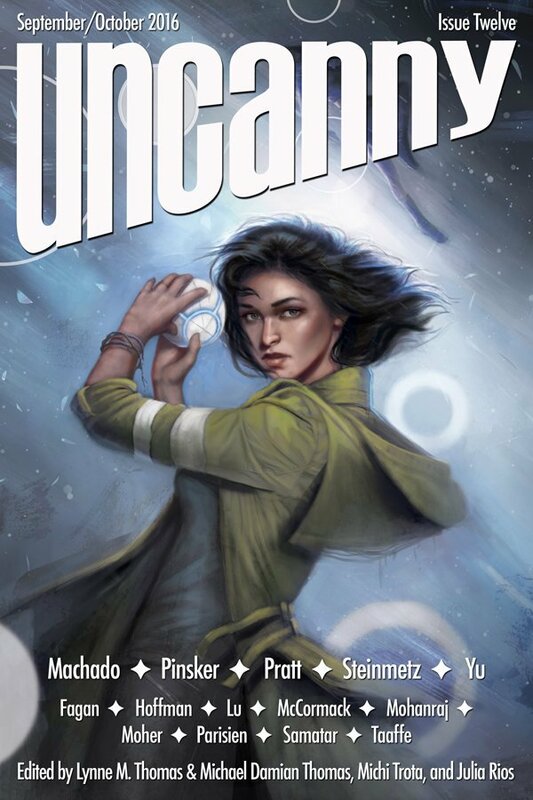 Also, there is a great contest going on over at The Book Smugglers: you could win the entire series! Go check it out. Yes! It’s that time again: book release week! 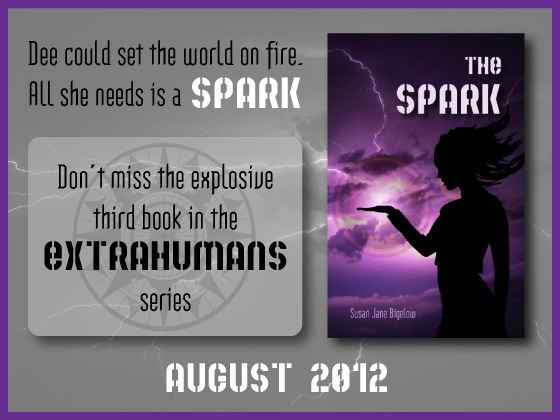 THE SPARK (Extrahumans #3) is coming out on Tuesday. I get incredibly nervous and flustered when a book is about to leave the nest, so you’ll pardon me if I’m under a chair, cowering. Failing that, I’ll be obsessively checking Amazon, Twitter and pretty much everywhere else to see how things are going. 2. Leave a review! Goodreads, Amazon, B&N, your blog, wherever you like. 3. If you do leave a review on your site, tell me! I’ll link to you. 4. If you like this series, suggest your local public library buy it! We have hardcovers these days. Sturdy and beautiful. 5. Spread the word! I have NO PR MACHINE, so every little bit helps! Anyway, there’s going to be some good stuff happening this week, including DEALS on other Extrahumans books, reviews, interviews, and more! Plus some cool book and story news that I hope I’ll get to share with you this week. Preorders are now open! I’ll be posting more about the cool rewards you can get as the pre-order period continues. The release date for THE SPARK is creeping up on me. It’s only about two months away, which means that for the next two months there’s going to be all kinds of pre-release goodness happening! There’s a part of me that’s amazed that my third book is going to be out soon. It’s all happened so quickly! Two years ago I was just submitting BROKEN to Candlemark & Gleam, which was still a few months shy of its first release. A lot was different for me two years ago, I feel like I’ve traveled light years since then. But there’s another part of me that’s written all this material since, and is impatient to share it with everybody. It’s strange to suddenly have one foot back in the familiar terrain of the Extrahumans universe while working on new works set in completely different worlds, with very different characters! I suspect that’s how it’s going to be for a long while to come, if I have the privilege of still being able to write and publish for as long as I want. 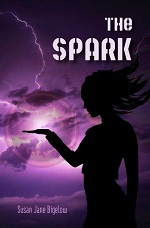 In the meantime, I’m going to have a lot to say about THE SPARK in the weeks to come before August 28th hits. I think you’re all going to like following Dee on her adventures. I hope you do! If you want a preview of the first two chapters, we now have one up over at fReado! You can either follow the link or use the widget below. 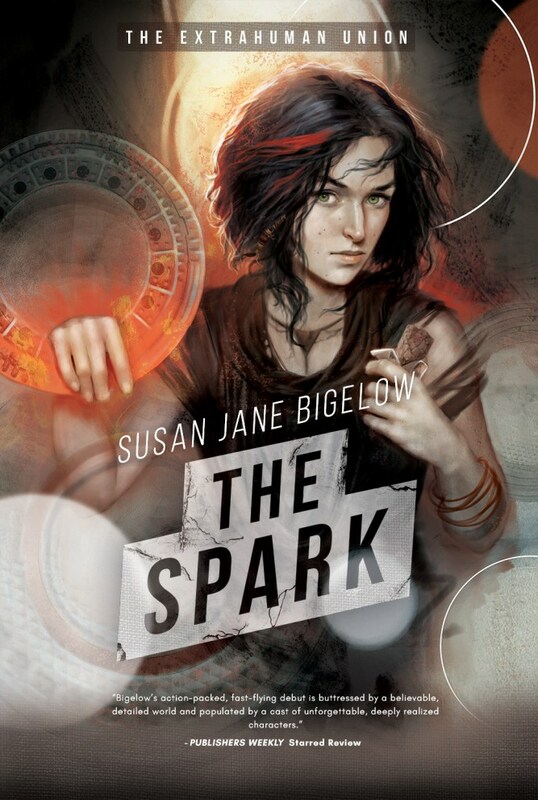 Check it out: a preview of THE SPARK! Read the first two chapters right now!